﻿ How to Install and Remove a SFP+ Transceiver Modules? Knowing how to install or remove a SFP+ transceiver modules is very essential for subscribers because they sometimes may encounter some technical problems. It is troublesome to ask an engineer for help every time, even for some minor faults. Therefore, the articles provide the installation and removal instructions for SFP (small form-factor pluggables) transceiver modules. These devices are hot-swappable input/output (I/O) devices, which are the key components in today's transmission network. After going through this passage, I hope subscribers can independently solve some minor technical problems. Disconnect all cables before removing or installing a transceiver module and prevent the cables, connectors, and the optical interfaces from damage. Always remember to protect the SFP modules by inserting clean dust covers into them after the cables are removed. Avoid getting dust and other contaminants into the optical ports of your SFP modules. Regularly remove and install a transceiver module can shorten its useful life. Thus, you should not be removed or inserted a transceiver module unless it is necessary. Transceiver modules are sensitive to static, so be sure to use an ESD wrist strap or comparable grounding device during both installation and removal. Step 3. Check the label on the SFP transceiver body to verify that you have the correct model for your network. Step 6. Insert the SFP transceiver into the socket until you feel the SFP Transceiver Module connector snap into place in the socket connector. Step 7. Remove the dust plugs from the network interface cable LC connectors. Save the dust plugs for future use. Step 8. Inspect and clean the LC connector’s fiber-optic end-faces. Step 9. Remove the dust plugs from the SFP transceiver optical bores. Step 10. Immediately attach the network interface cable LC connector to the SFP transceiver. Step 11. 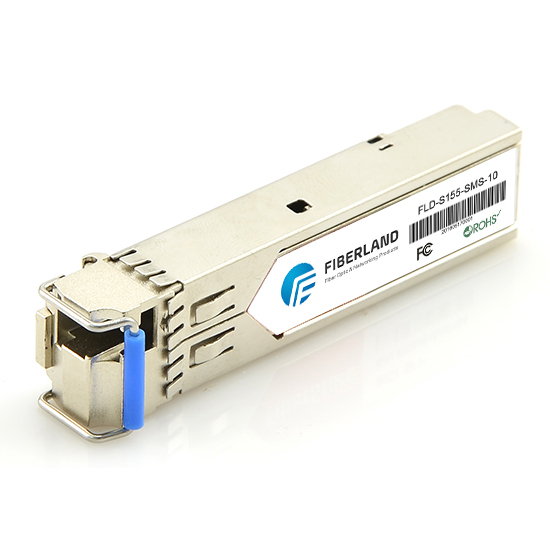 Connect the 1000BASE-T SFP transceivers to a copper network. Step 2. Disconnect the network fiber-optic cable or network copper cable from the SFP Transceiver Module connector. For optical SFP transceivers, immediately reinstall the dust plugs in the SFP transceiver optical bores and the fiber-optic cable LC connectors. Step 3. Release and remove the SFP Transceiver Module from the socket connector. Step 4. Place the removed SFP transceiver in an antistatic bag or other protective environment. SFP transceiver modules have three types of latching devices to secure an SFP transceiver in a port socket: SFP transceiver with a Mylar tab latch, SFP transceiver with an actuator button latch, SFP transceiver that has a bale-clasp latch. Before you take step to install and remove your SFP modules, you must figure out what types of latching you use. Take SFP-GE-SX-MM850-A as an example, it is the SFP transceiver that has a bale-clasp latch. Thus during the installation, you must verify that the SFP modules are completely seated and secured in their assigned receptacles. If the SFP module is not completely seated and secured in the receptacle, you will hear a click as the triangular pin on the bottom of the SFP module snaps into the hole in the receptacle. The following image introduces the basic components of a Bale Clasp SFP Module. Learning how to install and remove a SFP transceiver modules is very helpful even though you are not a professional telecom engineer. But you’d better not proceed the installation and removal process without a guidance of an expert, or you may get into trouble. Fiberland are committed to provide users with the best services in telecom field. we offers a large variety of high-performance, low-price SFP transceiver modules like AA1419013-E5. If you have any questions about today’s topic, welcome to contact us.